A 10-day, 112-mile march from Charlottesville to Washington, D.C. will kick off on Monday as organizers hope to send a message against racism and to force President Donald Trump out of office. Dubbed "The March to Confront White Supremacy," the event will span 10 days, with the shortest being 3.5 miles of marching from Charlottesville to Commonwealth, VA, and the longest being August 31, when marchers will travel 17.6 miles from Madison, VA to Culpeper, VA. Marchers will be housed in churches located on the route. The march's website says that they demand for Trump to be removed from office as he has "all(ied) himself with this ideology of hate." The marchers also "demand an agenda" to help heal the nation. For years, white supremacist violence, rhetoric, and policies have escalated and intensified – exploding during Donald Trump’s run for president and reaching a boiling point in Charlottesville, as courageous people of moral conscience stood up to an army of white nationalists, neo-Nazis, and members of the KKK. This is the time for us to stand up for justice and equality. This is the time to confront white supremacy in our government and throughout our history. We demand that President Trump to be removed from office for allying himself with this ideology of hate and we demand an agenda that repairs the damage it's done to our country and its people. 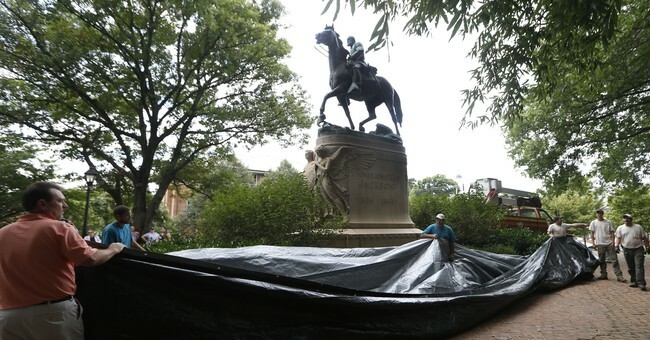 Additionally, the march website calls for the removal of all Confederate statues and monuments, and for charges to be dropped against people who were arrested protesting the KKK, among other things. Once the march reaches Washington on September 6, there will be a "sustained civil disobedience campaign" in the city demanding Trump's removal from office. According to the march's site, training in nonviolent civil disobedience techniques will be provided. Since Trump took office, there have been a series of high-profile marches against his presidency. Most notably, the Women's March on Washington brought thousands of people to DC, a climate march occurred in April, and in July there was an anti-gun march from the NRA's headquarters to the Department of Justice building.